16 week plan with a Sunday race day. This program is designed to be sustainable around work & children etc. Energise coaching provides easily achievable, sustainable training programs. Double training days are kept to a minimum. Long Rides and runs are weekend focused. Plan is based on time for run/cycle and approximate time/distance for swimming therefore the plan doesn't reflect the total distance. The plan is characterised by a slow build in training commitment, a 4 week peak period followed by a 2 week taper. Key preparation sessions are highlighted throughout the plan. There is provision in the program for those that prefer a walk/run strategy. Test sessions are included in the program periodically to review progress. Please look under the work outs for help with terminology and exercise descriptions. Please email contact@energisecoaching.com.au with any questions. We will answer most questions within 12-24 hours. Peta from Energise Coaching coaches athletes of all levels and abilities. As an age group athlete herself, she relates to the need to balance training with work and children while still achieving improvements in performance. This plan is intended for athletes who have a goal to finish a 70.3 event. They should be able to swim/run for 1 hour, and cycle for 2 hour +. Turbo for 30 minutes as hard as you can. I believe in sustainable training around living life. I see too many people burning out when age group athletes should be able to enjoy their sport, have time for other things, while still seeing solid performance gains. 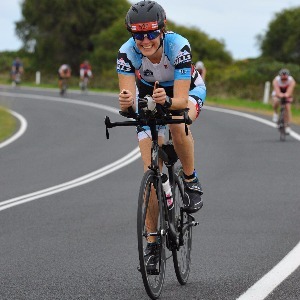 I offer personalised training programs & coaching or group coaching services to swimmers, triathletes and runners to suit lifestyle and performance goals.